Using Apple Music DRM removal software, you can remove DRM protection from Apple Music songs by converting or recording and save them as MP3 or M4A, so that you can break the limitation and enjoy your favorite Apple Music songs on any devices including the ones that Apple Music originally doesn't support. 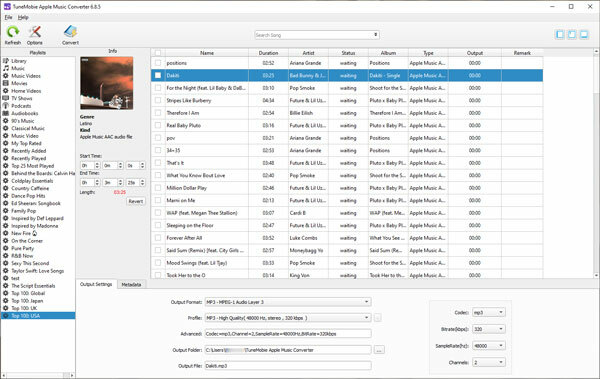 The Apple Music DRM removal software programs we review here includes TuneMobie Apple Music Converter, Tuneskit Apple Music Converter, NoteBurner iTunes DRM Audio Converter, Leawo Music Recorder and Apowersoft Streaming Audio Converter. And our conclusion is TuneMobie Apple Music Converter is the best Apple Music DRM removal software. TuneMobie Apple Music Converter is the most feature-rich and powerful Apple Music DRM Removal software. The features are all relevant to iTunes multimedia, and we are sure that the features are pretty useful. You may not use them frequently but when it's necessary, you don't have to search for another program. Support Apple Music, M4B/AA/AAX audiobooks, purchased iTunes music and other iTunes audio like MP3, M4A, AIFF, WAV, etc. There are no obvious cons of TuneMobie Apple Music Converter. However, there are 2 common cons of Apple Music DRM removal software programs using converting. First, it needs to work with iTunes, so iTunes must be installed. Second, only 1X conversion speed is supported on macOS Mojave. Other Apple Music DRM removal software introduced below have the same problems. Tuneskit Apple Music Converter doesn't come with many features, the sole function is to remove DRM from Apple Music songs. Compared with TuneMobie Apple Music Converter, Tuneskit Apple Music Converter lacks of too many features. It claims the conversion speed is 30X faster but obviously it's only an exaggeration. There is not speed option and the real conversion speed is far away from 30X. As to price, it only provides lifetime license at $34.95 but you need to pay another $34.95 for converting audiobooks. 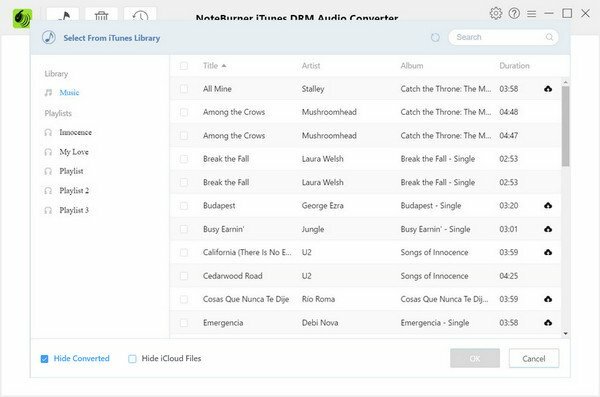 NoteBurner iTunes DRM Audio Converter is also a good Apple Music DRM removal software program. It can also remove DRM protection from Apple Music and M4B/AA/AAX audiobooks, and convert them to unprotected audio formats. As to price, NoteBurner iTunes DRM Audio Converter also only provides lifetime license at $39.95. Leawo Music Recorder is a light-weight and easy-to-use audio recorder which can record online music, local sounds and streaming audio services like Apple Music, Spotify, etc. 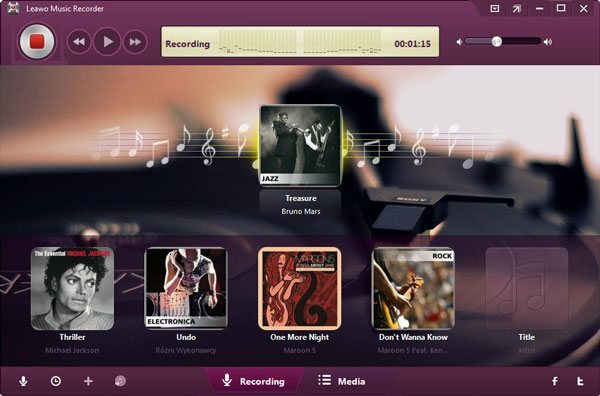 Leawo Music Recorder provides 1-year license at $19.99 and lifetime license at $29.99. 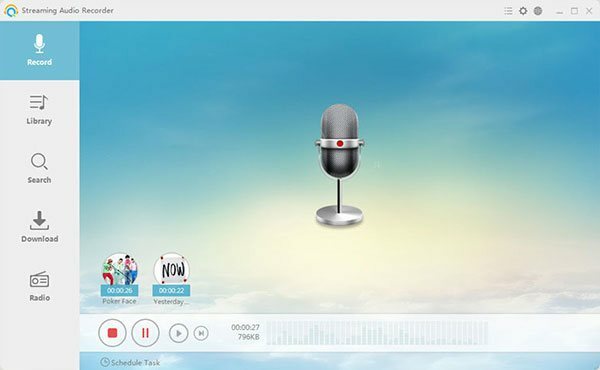 Apowersoft Streaming Audio Recorder is a dedicated online and local audio recorder. It also comes with rich audio converter functions like YouTube to MP3, video to audio extractor, audio CD burner, audio CD ripper, audio editor, etc. Record all kinds of audio or songs from Apple Music, Spotify, YouTube, etc. Apowersoft Streaming Audio Recorder provides 1-year license at $39.95 and lifetime license at $79.95. Both Apple Music converting programs and audio recording programs can remove DRM protection from Apple Music songs, but obviously Apple Music converting programs are much more convenient and efficient than audio recording programs. Only when it's illegal to remove DRM, you may consider audio recording programs. And TuneMobie Apple Music Converter is absolutely the best Apple Music DRM removal software among the products reviewed above, because it provides more functions than other programs and it also provides flexible pricing options. Get the best Apple Music DRM removal software to have a try now.